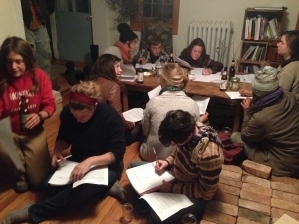 A letter-writing event organized by the Hudson Valley Young Farmers Coalition. We hope your Thanksgiving holiday was lovely – filled with delicious (and local!) food and wonderful community. Now that the food safety comment period is closed, this seems like an appropriate point to express our thanks for the amazing outpouring of enthusiasm and organizing zeal that spread like wildfire across the country to gather comments and host events for the food safety campaign. Young farmer letter-writing events across the country. Over 400 unique hand-written comments, ranging from first-hand accounts of small farm operations to dozens of pages of scientific analysis. NYFC staff spent the week double-checking docket numbers and then we boxed up the comments and shipped them off to the FDA. 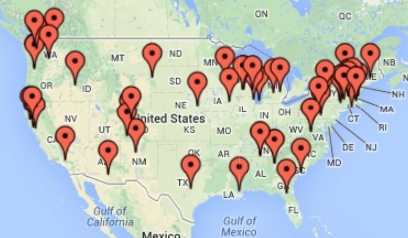 We’ll be keeping in close touch with FDA officials to find out what their next steps are – we’ll keep you in the loop. In the meantime, great work on a successful campaign!